as well as for the individual fighting cancer. 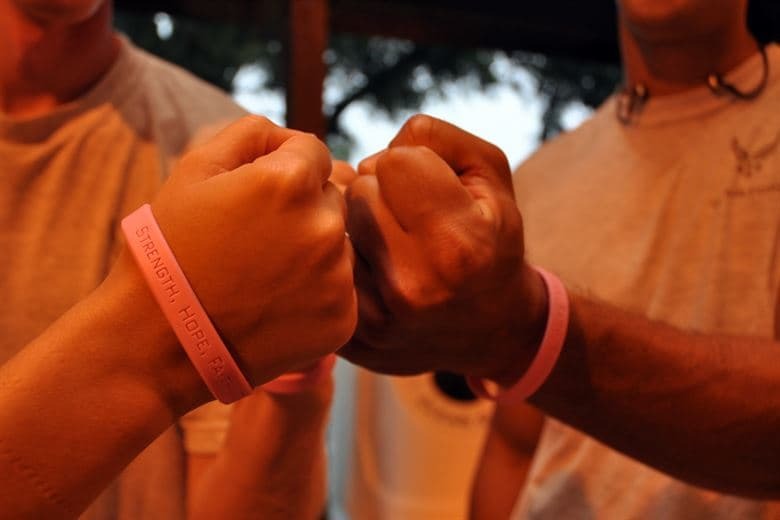 Having cancer support helps improve health, both physically and psychologically. Friends and family can make a huge difference during this difficult time. Pets can help lift moods. Support groups are also a valuable resource. It takes a village to fight this. If your life is sadly being affected by cancer, you've come to the right place: We have found some online resources for both internet-based and in-person support. You can gain emotional support as well as seek advice from those who have walked similar footsteps when dealing with cancer. It helps so much to know you're not alone, and that others have gotten through it--you can, too! Cancer Support Groups This site lists a variety of societies, foundations, and non-profit organizations dedicated to assisting those with a variety of forms of cancer. Find support groups, research information, and donor information, to name a few of the many cancer resources that can be found here. National Cancer Institute This site lists support organizations including cancer support groups, cancer questions and answers, and national organizations that offer services to people with cancer and their families. Also, it explains how to find resources in your own community if you have cancer, and provides help with finances, insurance, and health care. Cancer Information and Support International This is a non-commercial website run by volunteers worldwide who offer free support and information to all whose lives have been touched by cancer. Bulk Essiac Tea Facebook page. This page is a place to receive new information about essiac, new information about cancer, and also to meet others using essiac tea. It's also a place where you can ask questions and receive answers. At bulk-essiac-tea.com, we are here to support you with your decision to take essiac, and with your usage of essiac both during times of illness and times of health. We understand that sometimes questions or issues come up and you need to discuss them with someone knowledgeable. Please don't hesitate to contact us if you need any assistance with anything related to essiac. While we are not medical professionals, we have many years of experience helping people specifically who are taking essiac. Please direct your other questions and concerns to medical or alternative health providers. Also please be advised that we cannot help you with questions about other supplements.